Car parts manufacturer Arlington Automotive is a division of global supply chain specialist, Arlington Industries Group Limited. Arlington Automotive’s continued growth meant that real-time performance data was a crucial requirement. In 2016, Kerridge Commercial Systems (KCS) implemented an IoT solution to provide up-to-the-minute performance data of their machine presses, resulting in a 16% productivity gain. Arlington Automotive first implemented K8 Manufacturing in 1999. Since then, the company has grown considerably. With sales of around 38 million parts, pressure from automotive customers requiring Year-on-Year cost reductions and inflationary wage challenges; Arlington Automotive face on-going pressure to improve efficiency. In 2016, KCS implemented a solution to link Arlington’s K8 Manufacturing ERP system to two of their presses. Wi-Fi automation devices connected to a micro-switch in each press enabled the presses to become ‘Internet-connected things’. This allowed K8 Manufacturing dashboards to display real-time performance data, updated every minute. A range of dashboard views were developed for both shop floor and back office monitoring, with shop floor dashboards visible on a large format screen located next to the presses. Garry explained, “Before the IoT project, we had ‘gut-feelings’ about teams of operatives being more efficient at certain types of operations than others on certain presses, however there was no reliable performance data to substantiate this. The data provided has enabled us to optimise shifts. 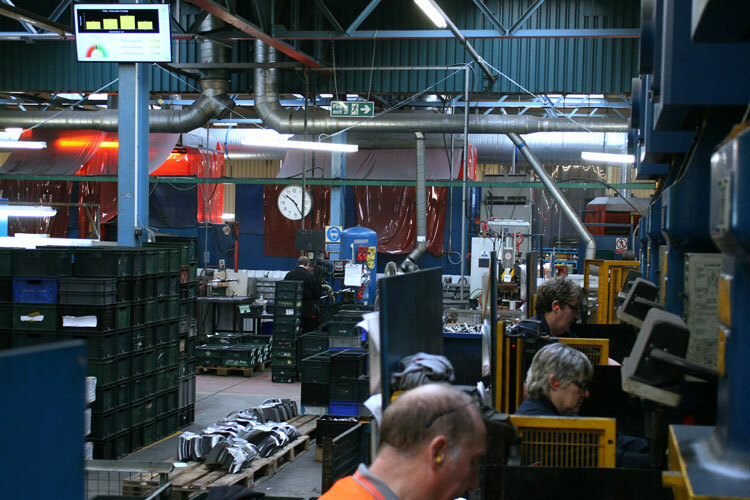 Following the initial project on just two presses, parts per machine have increased substantially and we have been able to see a 16% gain in productivity”. Since the real-time data has been on display via a dashboard on the shop floor, the time it has taken for presses to be in action at the beginning of every shift has halved. This demonstrated an immediate ROI for us.